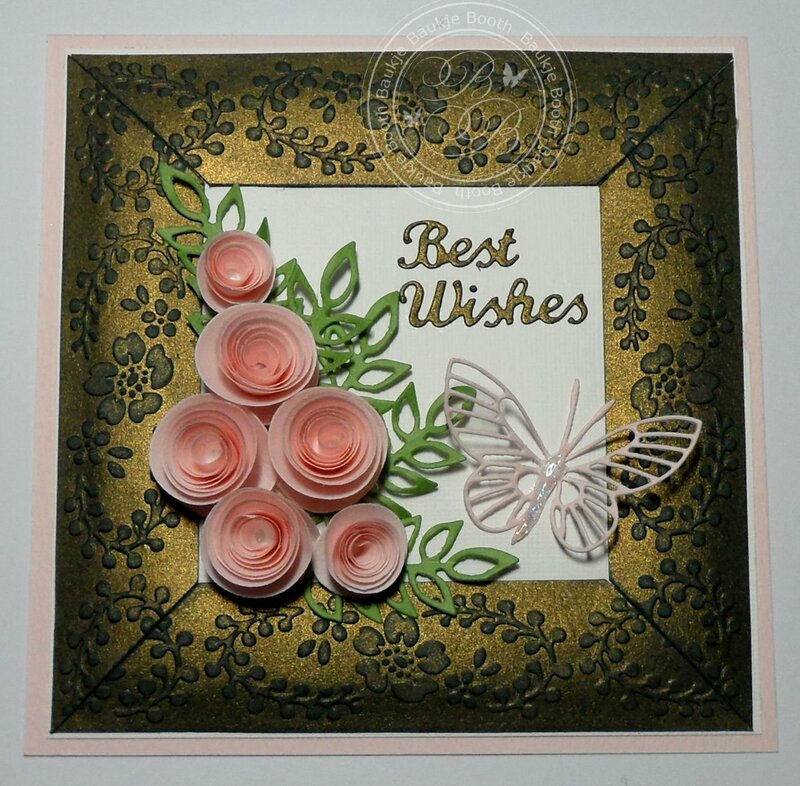 This is another card created for Kaaren at FatCats Card Corner. I used the border piece from the Anna Griffin Terillage Embossing folder set and made a frame from it. I used some shimmer card and lightly sanded it, I then used some dimensional tape along the center of the cut pieces to raise it up and then used double sided tape along the edges to stick them all down, I inked all the edges. The rolled roses where made with the Marianne Creatables Chinese Rose die set. leaves are Marianne Creatables Anjas' Leaves 2. Best Wishes is a Elizabeth Craft Design Word Die. For my card I'm sharing today, I used a Moxi Girl colouring page which can be found here and coloured her with copics. I have added some handmade flowers and two sweet little veneer birdies. 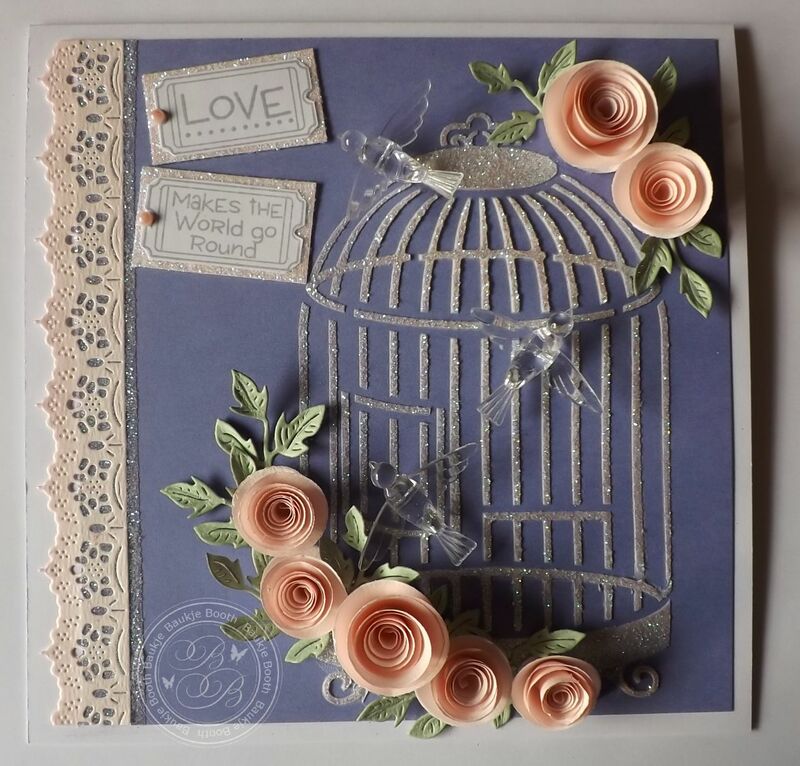 the papers are from the Kaisercraft Madame Boutique and Blae and Ivy 6½ inch paper pads. I have two more stenciled background cards to share with you today. For this one I used a Kaisercraft Birdcage template and some Mod Podge, while the stencil was still taped to the card with the Mod Podge on it I sprinkled on some fine gliiter then carefully removed the stencil. I added some rolled roses and some little plastic birds that were attached to thin wire which I removed. The leaves are Cheery Lynn's Leafy Flourish. 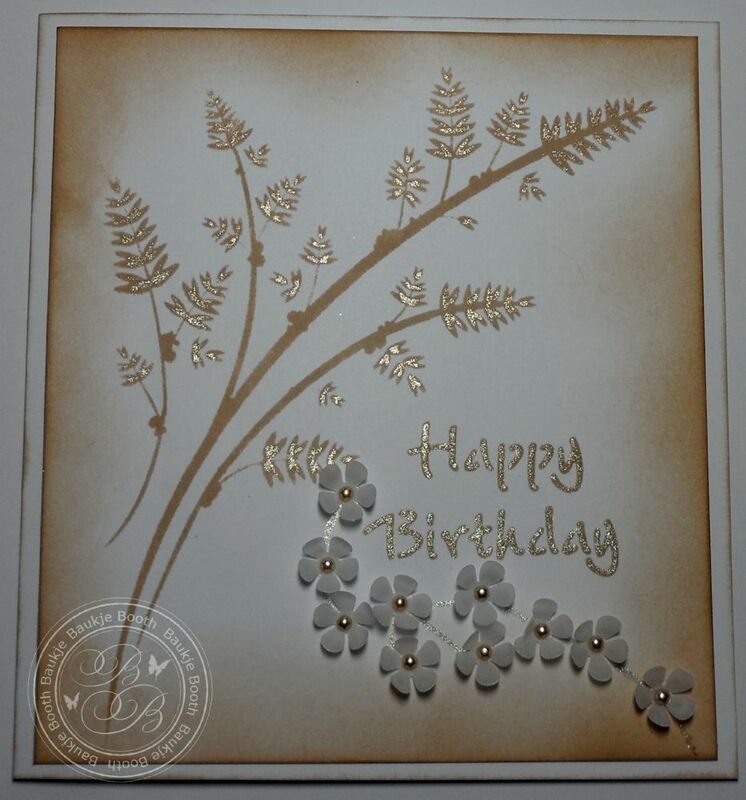 This very simple card was done with another Kaisercraft template called Wheat, afters inking it with Toffee Crunch Memento ink I went over it with a Sakura clear star gelly roll pen, I did the same with the Happy Birthday which I did with a Brass stencil. The little vellum flowers where punched with the small EK Success retro flower punch.